The Cincinnati Reds won in walk-off fashion over the Chicago White Sox on Tuesday night under the lights. It was, and wasn’t as exciting as it sounds. The win didn’t come on a home run. It didn’t come on a hit. But it did come in a bases loaded wild pitch scenario that saw Leandro Santana, pinch running for Joey Votto, slide head first into the plate to bring home the win for the Reds, 6-5. This afternoon they will take on the Texas Rangers in a road game at 4:05pm ET. Also scheduled to pitch for the Cincinnati Reds today: Jared Hughes, Anthony Bass, and Wandy Peralta. The game will be live on the Reds on Radio network. In Cincinnati the game will be on 700 WLW. You will be able to watch the game live on MLB.tv. Getting Close to Crucnh time with some of these names, Am I correct in assuming that starter level individuals are playing most of the games now? Not starter level, but MLB level. The starters will get the appearances they need to be ready, but there are still decisions being made for the 25-man roster and from this point, all competition should be MLB caliber. Yes it’s crunch time. Doug – What’s your early review of Tommy Thrall play-by-play? Are we listening to the future voice of our Reds? In the FWIW category, I’ve found Thrall to be knowledgeable, well-prepared and laid-back, with a smooth, easy-to-listen-to delivery. I have no insight (obviously), but I would welcome Thrall as the lead play-by-play on radio or TV broadcasts. So YOU’RE the Thom fan? Nice 2-out single by Farmer to drive in Iglesias after a leadoff double to tie the game at 1-1 going into the bottom of the 4th with Roark still on the mound. Scott Schebler’s monster spring continues. Double to deep right center, another walk in three AB. Hitting .429/.606/.762 before today. Now with 11 walks vs. only 4 Ks. Stole third (his fourth SB of the spring). Now hitting .435/.611/.783. If there is/was a true competition for CF, Schebler has laid a solid claim to the starting CF job. Senzel has played well offensively and defensively, but Schebler has more OF experience and CF experience at the major league and minor league levels. With and otherworldly offensive performance in all aspects during ST, Schebler deserves the starting CF job. Senzel needs regular playing time, so a utility role at the MLV level should be out of the question. A trip back to AAA is looking almost inevitable, unless there was not real competition and the result predetermined. The number of walks is particularly impressive. Senzel has looked good too, but hard to see him as the better option right now. Agreed. In a fair fight, Schebler has won, but not because Senzel did poorly. Gives the front office a very reasonable explanation for sending Senzel down. Schebler has been impressive. He looks ready. Senzel has been good. He also looks ready. 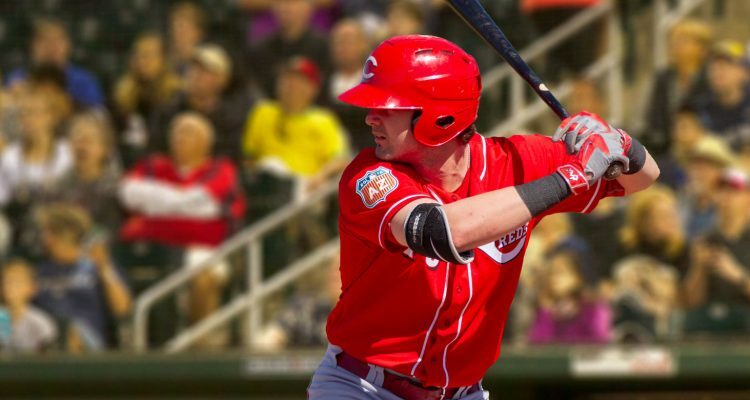 He is also the second most talented hitter in the Reds organization and has nothing left to prove in AAA. What this comes down to is how much stock you put in ST numbers. Schebler performing well certainly gives the Reds an excuse to send Senzel down for a couple of weeks. However, Senzel deserves the spot. Like to see what Schebler could do with a full year of health. Hasn’t been able to yet. I suppose they could still sit/trade Gennett, and play Senzel at second. 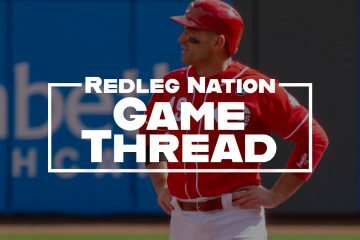 It would boil down to this: If Schebler plays, do you (after April 15ish) sit Senzel or Gennett? Tanner Roark comes out for the 6th inning, leading 2-1. And Roark must have reached his pitch limit with 1-out and a runner on 1B in the 6th inning. Winker goes from 1B to 3B on an IF single with Trammell scoring from 3B after stealing 2B and 3B. This is not the 1st time this spring that Winker has demonstrated some much improved base running. That’s very encouraging. 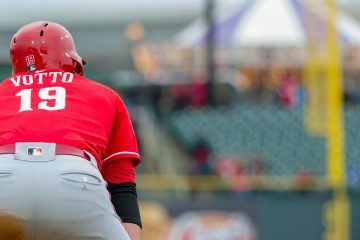 With the White Sox signing top prospect Eloy Jiminez to a record extension for a pre-MLB debut player, might the Reds get an extension deal done with Nick Senzel before he takes his first major league at bat? They’ve got 8 days to get it done or maybe 22 days.